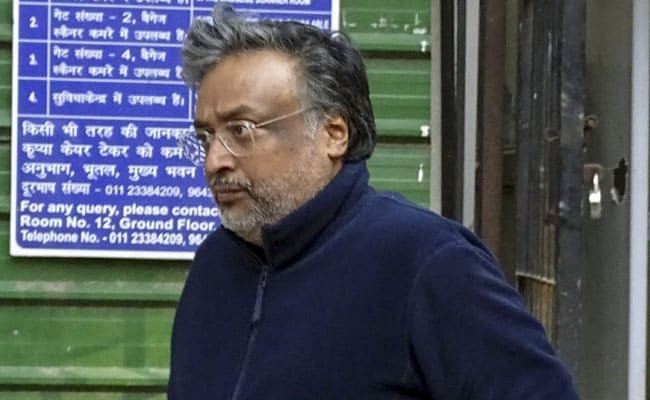 The court put various conditions on Gautam Khaitan, including that he will not tamper with the evidence or try to contact or influence the witnesses and join the investigation as and when called. Gautam Khaitan is one of the four Indians named in the AgustaWestland charge sheet. A Delhi court granted bail to AgustaWestland chopper scam accused Gautam Khaitan in a separate black money and laundering case on Tuesday. Special Judge Arvind Kumar granted him relief on a personal bond or Rs 25 lakh and two sureties of like amount. The court noted the submission made by senior advocate Sidharth Luthra and advocate P K Dubey, appearing for Gautam Khaitan, that he joined the investigation as and when called and answered the questions put to him. "He joined the probe even before the arrest and also during the police remand for 13 days. Even otherwise if the accused, at this stage, is required for investigation, he can be called to join the probe," Mr Dubey told the court. Enforcement Directorate's special public prosecutor N K Matta and advocate Samvedna Verma had opposed the bail application, saying that the investigation was still going on and was at a crucial stage.